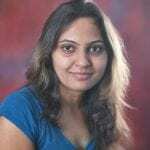 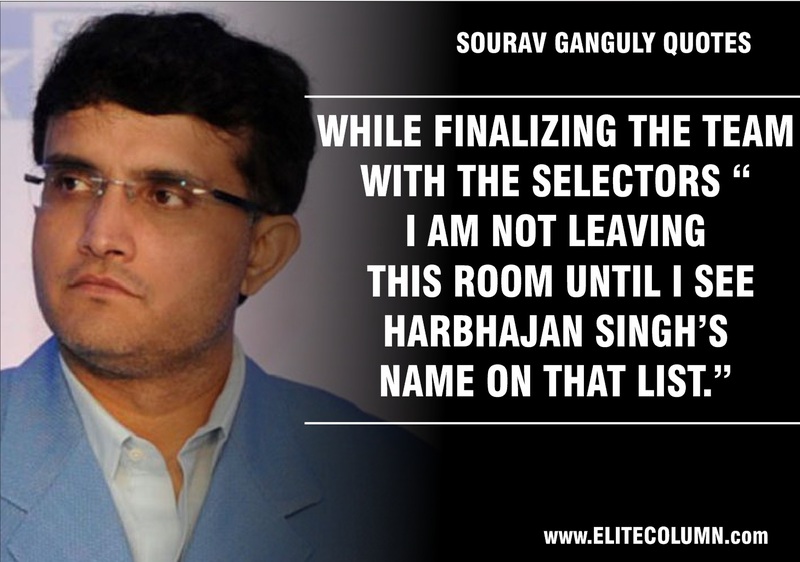 When Sourav Ganguly became the captain of Indian cricket team in 2000, the team was deeply embroiled in the match fixing scandal. 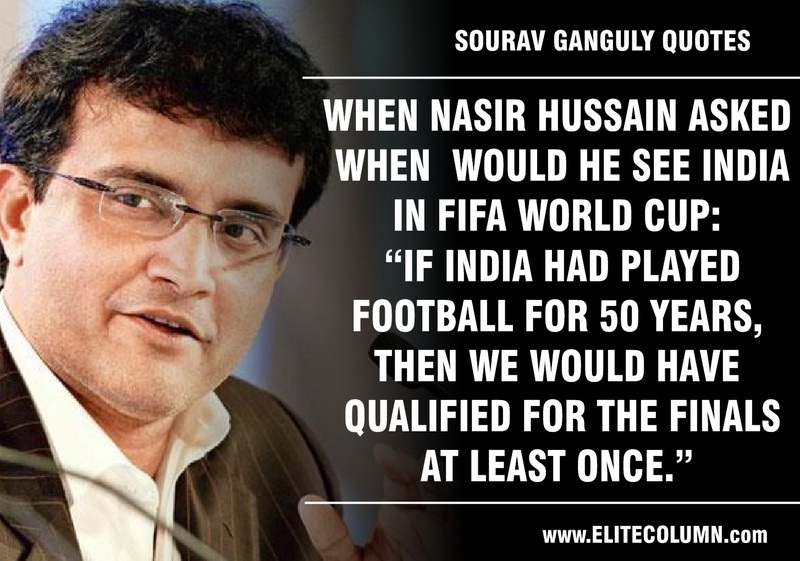 It had lost trust of the millions of India’s cricket fans and many of the players were also struggling to perform well overseas. 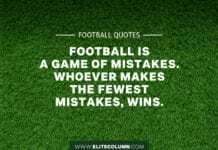 What the team needed was a proud, confident and aggressive leader who would remove the team from the depths of misery and lead them to a bright future. 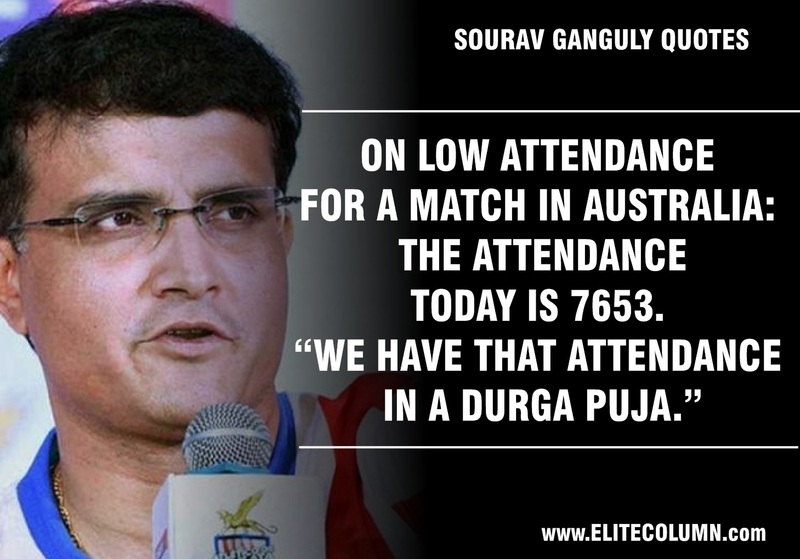 No doubt, Sourav “Dada” Ganguly was that leader. 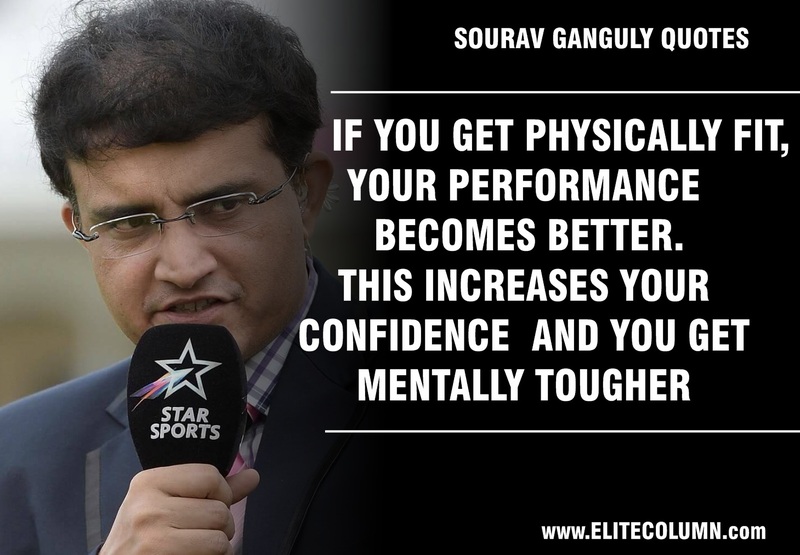 Ganguly not only instilled a confident and killer attitude in his team mates, but with his intelligent mind also devised new techniques and ways to beat the opponents. 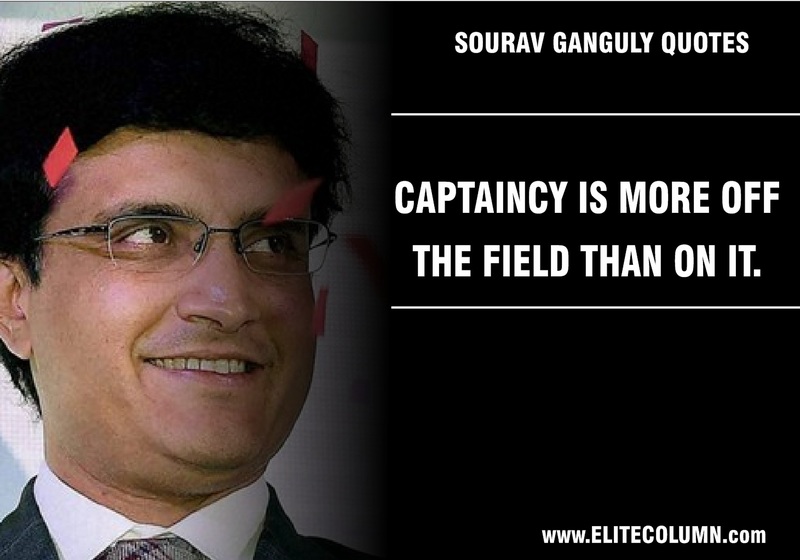 The team India flourished under his captaincy and soon Sourav Ganguly became one of the best captains India has ever had. 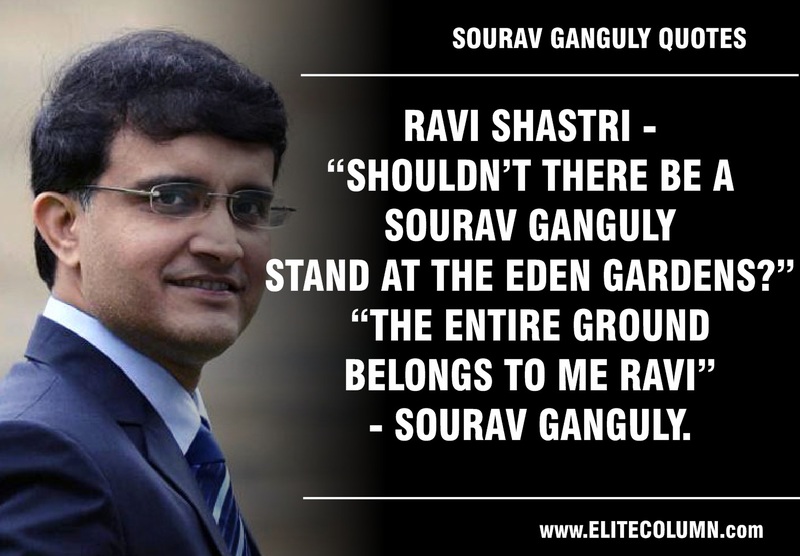 He has shown his own brand of arrogance, aggression and attitude: in short his “Dadagiri” to many of the top notch players. 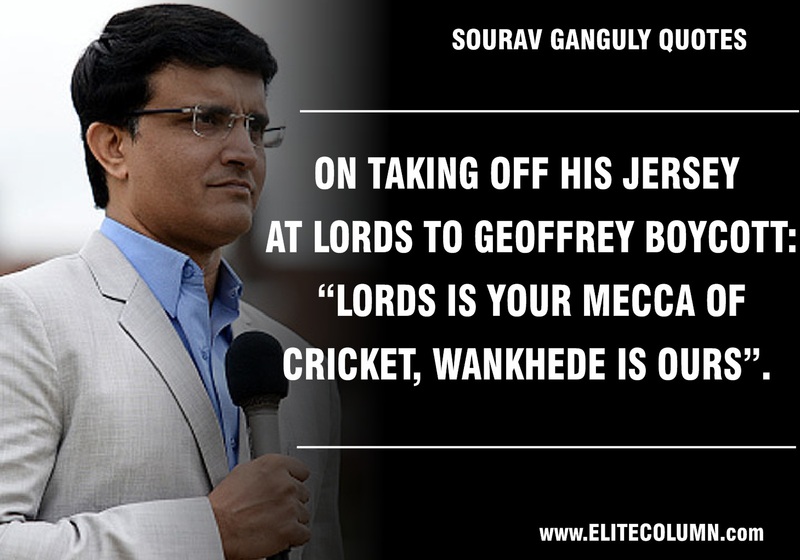 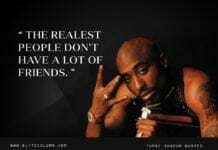 Below are some of badass Sourav Ganguly quotes and statements which show his sheer grit and mettle.